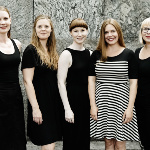 Norwegian ensemble Song Circus is comprised of five vocalists, and the music they make is thrilling, demanding, and light-years removed from traditional choral music. 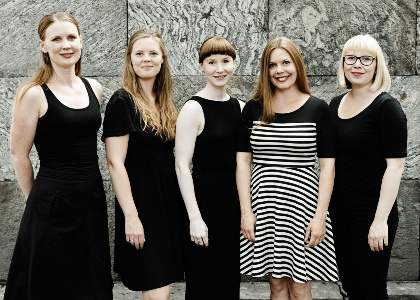 Song Circus’ debut album ‘Anatomy of Sound’ marked the beginning of a five-year campaign involving eight projects from some 15 composers. ‘Anatomy of Sound’ showcases the work of two of those composers, Ruben Sverre Gjertsen and Ole-Henrik Moe. Their pieces are jangled and nervous. Thick vocal textures are interwoven with washes of digital sound. A singer’s whisper morphs into a full-throated roar, then yields to near-subliminal mouth percussion. Just as unique, Song Circus’ stage setup surrounds the audience, positioning them within the ensemble so they can act as co-conspirators in the performance.